He has fronted numerous game shows over the years. Now, it is reported that Noel Edmonds is in high demand from ITV executives who want him to grace TV screens during the most converted spot on the schedule - Saturday night. The 70-year-old, who starred on the latest series of I'm A Celebrity... Get Me Out of Here for the channel, is in talks with ITV bosses according to The Mirror. Sharing their knowledge, the source revealed: 'ITV is hoping to find Noel a prime-time Saturday game show to be as big as Saturday Night Takeaway. 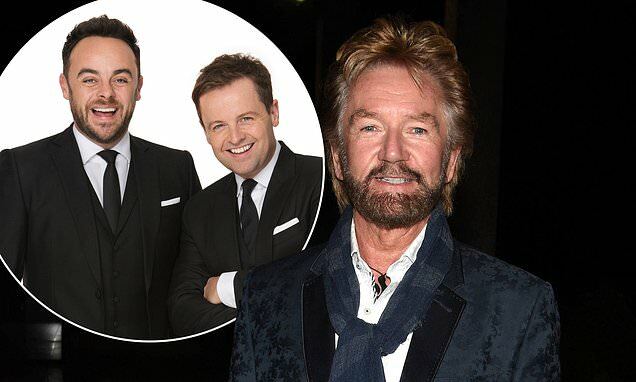 Noel's new show could challenge duo Ant McPartlin, 43, and Declan Donnelly, 43, who are firm favorites on the prime time TV slot. MailOnline have contacted a representative for Noel for comment. Noel won't struggle to command attention on the small screen, as he has been in the showbiz industry for five decades, first starting out as a radio presenter for the BBC in 1969.